15 Amazing Island Getaways — in America! When it comes to island getaways, we often think of the Caribbean or far-flung locales like Greece or Bali. But there's no shortage of incredible island getaways in the U.S.. From under-the-radar spots off the coast of Washington to Texas jewels, here are our favorites. Perched on the border between Texas and Mexico, you'll love the welcoming spirit in the "Fireworks Capital of Texas." Also known for its annual Sand Castle Days, if you can swing an October visit you'll be dazzled by the ornate beachfront sculptures. Either way, you'll want to take a sandcastle lesson for a memorable group activity. Hungry? Say ahoy matey at Blackbeards' or grab some 'za at Gabriella's Italian Grill & Pizzeria. Book a room at the Pearl South Padre with ocean views, a pool, kids camp, and spa. For more information, visit sopadre.com. Eat, drink, and be merry is the name of the game in this Gulf Coast oasis. Settle into your room at Hotel Galvez and Spa and enjoy some relaxation time on the beach before pumping up your adrenaline on the rides at Pleasure Pier. When your belly growls, enjoy fresh seafood at Shrimp 'n Stuff and thank us later. Warning: Between the beautiful Victorian homes and charming historic districts, you may very well decide you want to move here come trip's end. For more information, visit galveston.com. This small barrier island is so much more than the sum of its three-mile stretch of sand granules. A half hour from Savannah, post up at Hotel Tybee, DeSoto Beach Hotel, or book a home with Mermaid Cottages Vacation Rentals. When you're not just beachin', keep the crew engaged with fun options like Captain Mike's Dolphin Tours or touring the Tybee Island Lighthouse & Museum. No trip to Tybee is complete without a meal at The Breakfast Club, a no-frills diner with some formidable french toast. For more information, visit VisitTybee.com. 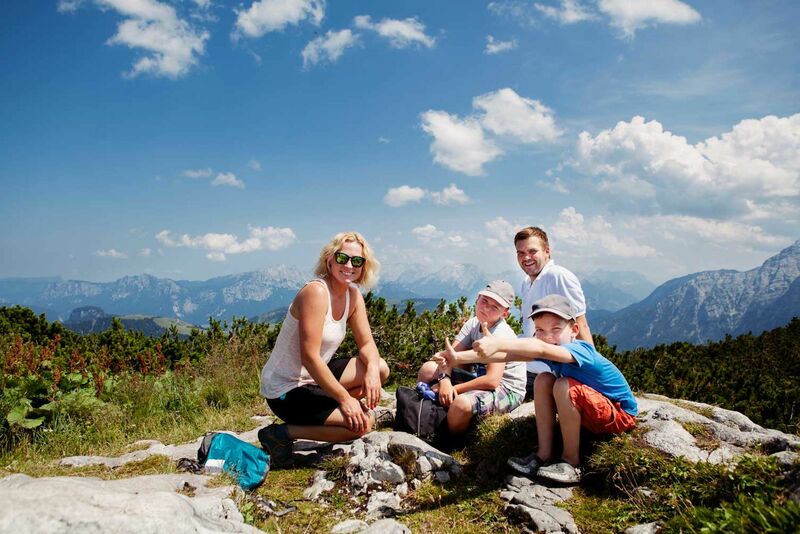 On this hidden prize, you can hit the hills or woodlands horseback riding and see a spinner dolphin in the same day. Don't skip town without seeing the marvelous rocks at Keahiakawelo, the "Garden of the Gods" and a fresh sushi dinner at NOBU LANAI. Book a room at Four Seasons Resort Lanai, which is also home to the Lanai Adventure Center. After you leave your aerial yoga hammock feeling invigorated from class, you'll be even more amped for that afternoon UTV tour. For more information, visit gohawaii.com. There's good reason A-listers like John Mellencamp choose to retreat to the idyllic shores of Daufuskie Island. During your trip, be sure to spend some quality-time unwinding at Calibougie Club at Haig Point (pictured), perched on the Calibogue Sound — you can book a stay in the private community through their "Discovery Experience." Or, reserve a vacation home through Daufuskie Island Rentals. Fill your days with the newly-launched Daufuskie Island Trail Rides to soak up Haig Point via horseback, a meal of unreal Southern fare at Lucy Bell's, and a visit to The Iron Fish gallery, which pedals handmade coastal-inspired sculptures. For more information, visit daufuskieisland.com. Bookend a trip to Providence with another Little Rhody gem. In Block Island, nearly half the island is preserved, and the island is also home to America's first offshore wind farm. Decompress on Crescent Beach or pack a sunset picnic for Charlestown Beach before returning to your room at the New England classic, Spring House Hotel. Come sunrise, work up a sweat with a Block Island Bicycle Tour or make your eyes pop as you hunt for treasures from the Glass Float Project hidden on beaches and Greenway Trails. Then, brush up on lawn games and sip a mudslide at Block Island institution, The Oar. For more information, visit visitrhodeisland.com. Spanning nearly half the distance of the entire Outer Banks, you'll adore the beauty of undeveloped beach wilderness, sand dunes, and sea oats. If kiteboarding isn''t for you, play spectator at Good Winds Restaurant, overlooking one of the best kiteboarding spots in the world. After you've climbed Cape Hatteras Lighthouse, catch some shut-eye at Koru Village. In the morning, decide if that vinyasa flow class is calling or if the massage table beckons with the Fire Dance Stone Massage at the spa. For more information, visit outerbanks.org. "Garden Island" is a fitting nickname for this lush terrain that includes tropical rain forests, emerald valleys, and dramatic mountains. As a reward for hiking Waimea Canyon with Kaua'i Hiking Tours or embarking on a tour with Kayak Kaua'i, feast on authentic Hawaiian cuisine at Merriman's Fish House. Book your stay at The Aqua Kaua'i Beach Resort (pictured) for lei making classes, hula lessons, and epic sunsets or at The Aston at Poipu Kai where your toughest decision will be deciding between mountain tubing or sailing along the stunning Napali coast. For more information, visit gohawaii.com/islands/kauai. Roughly 20 miles from Beaufort, this barrier island clocks in at only three-and-a-half miles long and a half-mile wide. Birdwatchers will delight in 175+ bird species, while golf enthusiasts will make the most of the tiny island's two national championship courses. 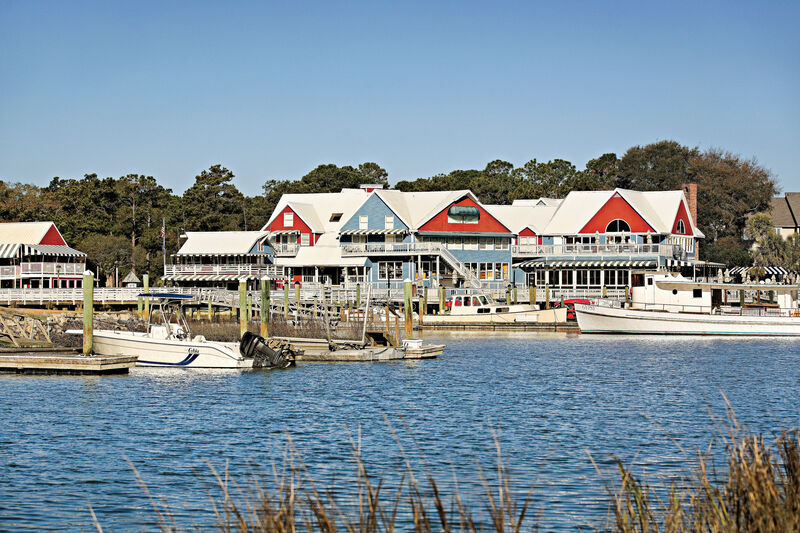 At Fripp Island Resort, which runs the island's villa and home rentals, be sure to grab food at Bonito Boathouse for its lowcountry marsh scenery and stellar seafood. There's no place quite like Catalina Island. The way the gentle breeze ushers you into a happier state of mind as you walk along the beach. The way the family-friendly isle — an hour-long ferry away from Los Angeles — thrums with a laid-back energy as visitors dine at Lobster Trap or embark on a glass-bottom boat tour with Catalina Tours. Stay at the Catalina Island Inn or Mt Ada, a luxe B&B housed in the former Wrigley Mansion. For more information, visit visitcatalinaisland.com. The "un-Hamptons" of Long Island's glimmering enclave, you'll feel relaxed from the moment you check into the Ram's Head Inn (pictured), situated on a hill above Coecles Harbor. After soaking up live jazz or a local band in their Harbor Hall venue, take a stroll on the beach or mosey on over to Isola where you may catch a celebrity or two. By day, rent a bike with Piccozzi's Bike Rental or enjoy time with loved ones on Wades, Hay, or Crescent beaches. Feeling antsy? 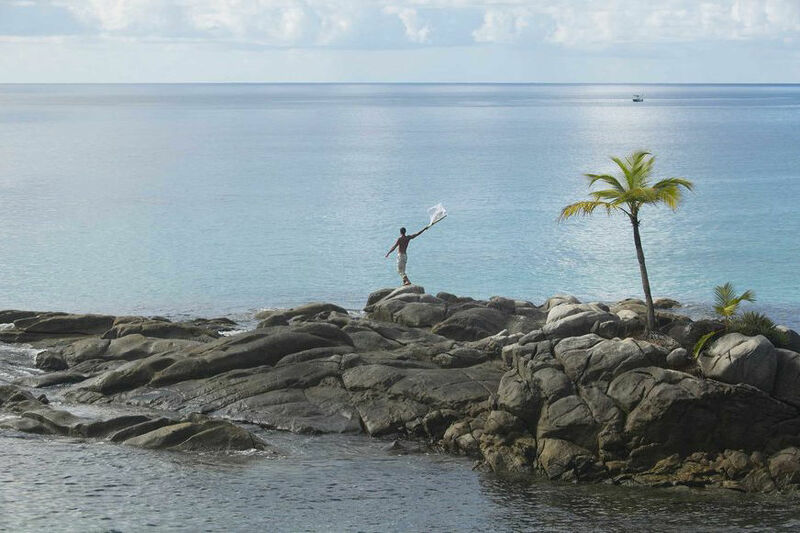 Rent a paddleboard with VentureOut Paddleboards and reset your perspective. For more information, visit shelterislandchamber.org. 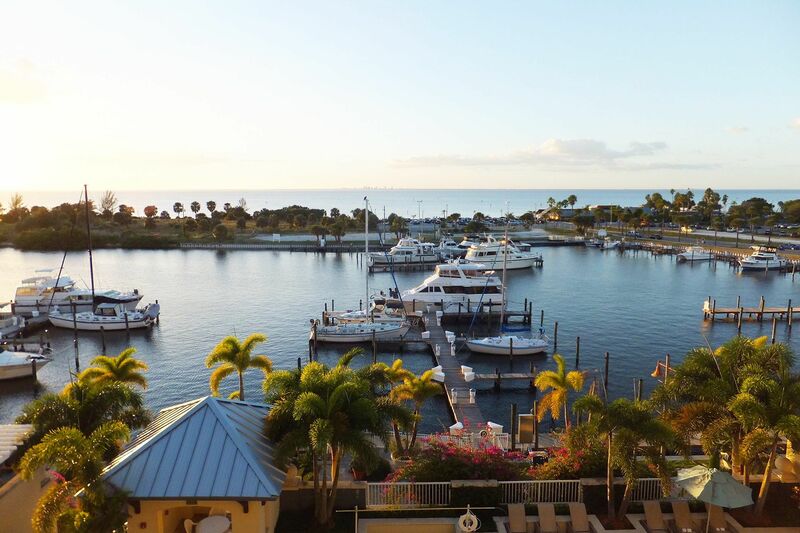 This village of islands in the Florida Keys has something for everyone, from fishers (it's been dubbed the "Sportfishing Capital of the World") to art lovers (if you can, swing by the monthly art walk every third Thursday with the Morada Way Arts and Cultural District). With nearly 90% of lodging back online after Hurricane Irma, there's no shortage of places to stay. Our pick? Cheeca Lodge & Spa, where you can easily stay on-property for a week without tiring of things to do thanks to new additions like a lobby bar, a second Tiki bar named South 25, a beachfront pool, and more. Don't say goodbye to island life without a trip to Florida Keys Brewing Co. — it's next to Cheeca — which spotlights Keys' honey and limes in its brews. For more information, visit islamorada.fl.us. Step into the unhurried vibe of Mackinac Island, that maintains an old-timey feel thanks to a no-car policy (carriage rides! bikes!) and plenty of fudge shops. Post up at Grand Hotel where you can play tennis, stroll through gardens, and raise a cup for afternoon tea without leaving the grounds. Or, try Mission Point Resort, which offers a lakeside spa and salon and welcomes your pets. Wherever you stay, make a pit stop at Pink Pony for live music and tasty grub. For more information, visit mackinacisland.org. Ready to check glamping off of your bucket list? Reserve a renovated 1978 Airstream trailer at tranquil Lakedale Resort. Whether wandering through an alpaca ranch at Krystal Acres or sampling gin made with local apples at San Juan Island Distillery, there's something to delight all of your senses on this under-the-radar archipelago. Whales live here year-round, so you'll definitely want to reserve a whale and wildlife-watching tour, capped off by dinner at Downriggers on the bustling (and beautiful) Friday Harbor. For more information, visit visitsanjuans.com. A fifteen-minute drive from Miami, discover the natural treasures of Key Biscayne on little-known biking and hiking trails in Bill Baggs Cape Florida State Park. The expansive grounds boast plenty of birdwatching, guided lighthouse tours, and two restaurants, too. You may be close to downtown Miami, but you'll feel worlds away at The Ritz-Carlton Key Biscayne. There, channel the spirit of Old Havana at RUMBAR or chase dinner with oceanfront views at Lightkeepers. Tennis fan? The Cliff Drysdale Tennis Facility has one hard court and ten soft clay HydroCourts with clinics available for all ages and skill levels. For more information, visit visitflorida.com.